As crypto/blockchain is making it’s still slender appearance more and more noticed in all sectors all around the world, recently one old and traditional part of international trade has been targeted by emerging companies: the international shipping sector. Let that roll on your tongue a few times, until your tonsils connect to the mathematical/space-oriented part of your brain, and you can maybe get an imaginary understanding of how many containers with Lambo’s that would be, or more likely containerships filled with containers with Lambo’s. International shipping in terms of revenue per year is valued at that beautiful number (let’s say it again: $12 trillion), as an estimated 70–90% of all world trade is carried out by the industry. A market of that size could attract even the worst slime of emerging technologies, but why should crypto/blockchain have a ticket to this ball, and what can crypto/blockchain do for the international shipping market? International transfers of value & decentralized data storing and tracking. The ideas/solutions offered by the new emerging companies from the crypto/blockchain space, evolves around the ease of international payments, container- and product-tracking, insurance of validity of cargo agreements, improving container-freight efficiency and improving the passing of property framework following the freight. ShipChain seeks to implement an improved track-and-trace-system of each delivery. TEU seeks to incentivize retailers and customers to follow up on their promises of ordering/delivering, by having them invest X amount of TEU tokens in their initial promise. Prime Shipping seeks to improve cross-border payment in the industry. Blockshipping seeks to create a Global Shared Container Platform (GSCP), to make the overall freight of containers more efficient, thereby increasing profits and decreasing CO2-emissions. CargoX seeks to improve the process of technical transfer of cargo-ownership on its way through the supply chain, by securing Bill of Lading documents using blockchain technology. ShipChains CEO and CSO has a lot of experience from international shipping, CEO as a founder of Direct Onbound and CSO from DHL — other team members mostly dont have any experience from the international shipping industry. Conclusion: Team is looking pretty good, with experience from the part of the shipping sector, that matches with their intended take on it. Team and advisors have a lot of experience from shipping-giant Maersk Line, and big banks such as JP Morgan. The Prime Shipping Foundation is a partnership between Gibraltar-based Quorum Capital Ltd. and ship broker Interchart LLC, why they should have an advanced insight into the industry — but when you take a look at the individual team-members, they dont seem to have much experience from the international shipping industry, and the one member of the team who is reported to have the most experience from the industry, doesn’t have a LinkedIn profile linked to his description. Furthermore Quorum Capital Ltd. is listed as having only one employee on LinkedIn, namely the CEO of Prime Shipping. Conclusion: There is a lack of sector-specific experience and furthermore insufficient information on the validity of the involved employees on LinkedIn. 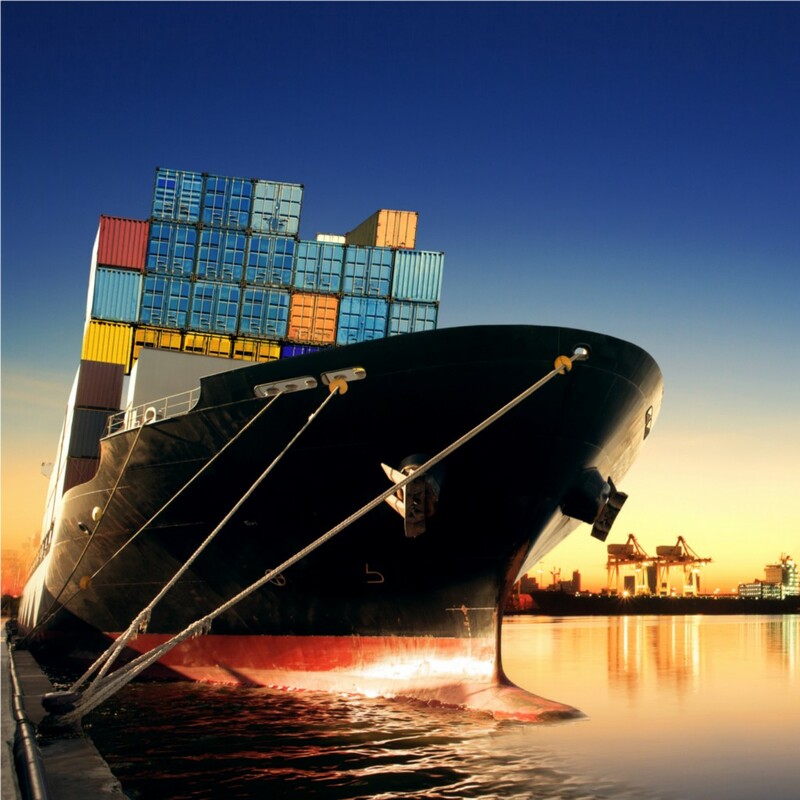 Team and advisors has extensive experience from the international shipping sector, both from Maersk Line, DHL and other big players in the sector. Team has no advisors, but has a pretty stabile background in shipping companies, government entities related to the sector, and programming/developing. A very important part of investing into crypto/blockchain-companies, by buying their offered tokens, is trying to understand what these tokens use-case is, and if it is possible to connect a real world value to them. ShipChain token is named SHIP, and is already traded on the markets — it’s this token that will be used on the ShipChain platform. TEU token will be used to incentivize retailers and customers to follow-through on their promises, and will actually be handed out freely, but should still have real world value according to the team. Prime Shipping is called the PRIME token, and is based on Ethereums ERC20 platform — it will be used as the primary and only currency for payment within the Prime Payment system. Blockshipping will be issuing two tokens for their platform; one for internal use for settling the affairs of the companies using the platform, and one for investors called the CCC, which will pay a percentage of the revenue from the company back to the holding investors — the CCC will be offered to investors and is also based on Ethereums ERC20-platform. CargoX token is called CXO, and is already traded on the markets, but their webpage offers no information about it’s usecase. ShipChain platform is expected piloted in Q4 2018, with 2019 being the year where ShipChain becomes a real player in international shipping. They carried out their pre-sale in Q4 2017, followed by a canceled crowdsale substituted by an airdrop. TEU is currently trialing their deposit booking system, expecting to be launching a beta-version of their system in May 2018, before going live in June 2018. ICO will start on 15th of March 2018. Prime Shipping has already caried out first shipment of wheat paid with Bitcoin in late 2017, using their established automated vessel tracking system, and are aiming for a public beta in Q4 2018, before Opening a Prime Crypto Bank and Prime Investment Fund in Q1 2019. Private sale was carried out in Q1 2018, and main TGE will be in Q3 2018. Blockshipping is currently in development of their system, and will have a soft launch in Q3 2018. Pre-sale is currently ongoing and ICO is expected in April 2018 — Bonus info: Blockshipping ICO is the first ICO to be based on a new Danish governmental framework called The ICO 2.0 Framework. CargoX launched their platform 45hc.com in march 2016, and 2 years later in march 2018 their token CXO was added as a payment option. Roadmap has no future events. ICO was held in January 2018. Now that we have gone through four different key areas of these new shipping-crypto/blockchain projects — idea, team, token and roadmap — let’s do a comparing recap with some added info. All of the different projects actually have quite different ideas, which is quite remarkable in crypto/blockchain, that has had an emergence of very similar sounding projects. This is very positive, and accounts for the seriousness of the projects. ShipChain is targeting tracking of cargo, TEU retailer-customer trust, Prime Shipping international payments, Blockshipping container tracking, and CargoX the legal transfer of cargo-ownership. Most of the projects are in some way based on Ethereums platform, and are using smart contracts, and as Ethereum seems to be serious about keeping their capacity up to date, this should be fine. I personally have difficulty seeing a free coin having a strong value as in TEUs proposed gameplan — if it doesnt get this, there will be no incentive for retailers/customers. I personally also have difficulty figuring out Prime Shippings exact gameplan, and dont really see the need for a shipping-specific cryptocurrency for the transfer of value, as they could just another cryptocurrency. That said, Prime Shipping are opening a bank and an investment fund, which might give their specific cryptocurrency a better use-case. One last important thing i will mention in this regard, is that Maersk and IBM are working on a blockchain a solution that looks pretty similar to ShipChain’s — focusing on the tracking of the cargo — why ShipChain might have a hard time getting a hold of the market, as Maersk is so massively present in this sector already. Since all the ideas seem somewhat valid, emphasis must be put on the different teams ability to follow through on the idea — let’s go to the teams! There are two teams that obviously look the strongest: TEUs team and Blockshippings team. These two teams have decades of experience in shipping, from some of the biggest and most prominent companies in this sector. Second best are the teams from ShipChain and CargoX, as they also look pretty solid, with good and relevant experience across the board. The team of Prime Shipping doesn’t look good in my opinion, especially as i haven’t been able to find sufficient good information on them from looking at LinkedIn. Now that teams are compared, let’s go take a look at the tokens they chose! 4 of the 5 tokens are use-case tokens — this means that the token you can get from the project, are the ones being used internally on the different platforms provided by the projects — these 4 are: ShipChain, TEU, Prime Shipping and CargoX. Blockshipping stands out as the one with two tokens: one for internal use (CPT), and one ERC-20 token for external investors (CCC) — this token will give dividends from the revenue created from the Global Shipping Container Platform (GSCP), that will work as the first global container tracking platform — payment for use of the platform and added features, creating the revenue. Token allocation is mostly done in pre-sales, ICO’s or TGE’s — which are closely related to the projects development — therefore let’s go to the roadmaps! 4/5 of the teams — ShipChain, TEU, Prime Shipping & Blockshipping — have more or less the same roadmaps; some goals they try to achieve at certain points in time, described with technicalities they like “smart contract development” etc, and all of them seem to be active and are aiming for launching their platforms in 2018 or 2019. I am not an experienced developer, so for me these look more or less the same; active teams with benchmarks planning to launch platforms soon, after working out the different technicalities — that’s what i see. One of them is though standing out in a negative way, as CargoX dont have any roadmap for the future, which is really worrying! To be fair i have to air the thought though, that they might have moved all their activity to the homepage https://www.45hc.com, as their tokens seems to be active there — if that’s the case, the homepage look fairly active, and they might be thriving..
Aaaaaand the winner iiiiiiiisss…. the disclaimer! > This is not financial advice! > I am not advising you to invest in any sense, sharp or form! > With cryptocurrencies and especially ICO’s — u can lose all your money! That being said, if you ask me for an opinion which is NOT investment advice — i would say that Blockshipping looks the most potential project, followed by TEU and ShipChain in no particular order. Just of the top of my head. Could be wrong. All in all it looks like a perfect match between one the oldest sectors, and one of the newest — let’s hope for a beautiful and giving relation between these two in the future! What is your opinion on International Shipping &amp; Crypto / Blockchain ?